There is news that the recent closing of the Gardermoen Airport in Norway was due to a Ufo. Several thousand passengers were affected since the airport Gardermoen, outside Oslo, was forced to close for 90 minutes. Ett passagerarplan med 400 passagerare fick vända och landa på Arlanda sedan en okänd flygfarkost blockerat luftrummet över Gardermoen. A passenger plane with 400 passengers had to turn and land at the airport since an unknown aerial vehicle blocked the sky over Gardermoen. The unknown flying object which had Gardermoen airport outside Oslo to close for 90 minutes on Thursday has not yet been explained. DN.se har talat med den svenske piloten som slog larm. DN.se have spoken with the Swedish pilot who blew the whistle. It was the crew of an SAS plane that made ​​the observation during the approach to Gardermoen shortly before 16 o'clock on Thursday . Passenger plane, which was the Boeing 737, was at 2400 meters and was on his way to Oslo from Frankfurt. It had less than 60 km away from landing when both the pilot and first officer, who is a former fighter pilot, saw a greenish object in front of and during their migration routes. 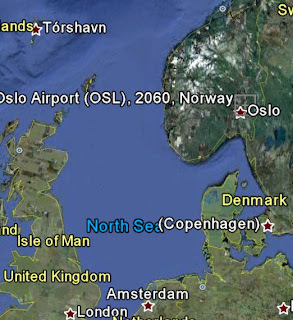 We came from the Oslo Fjord and flew north, west of Oslo, where we could make a turn back south to land at Gardermoen. . 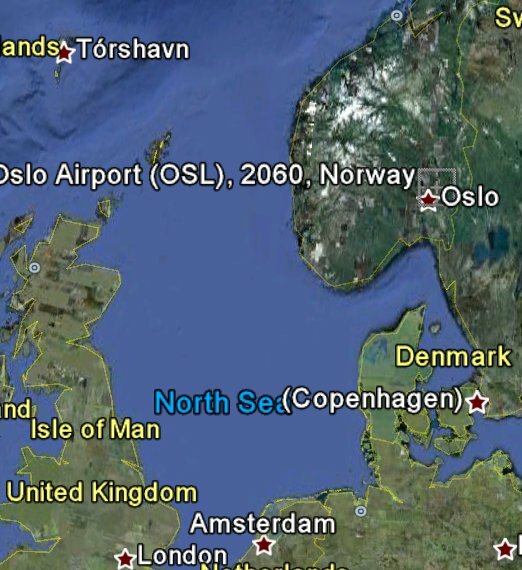 I sit and look for another airline that would come in from the north and when I do, I get a solblänk in her eyes.s. Then I see the craft slightly to the right under us. I see it right away and think immediately that there must be a glider or an airplane in all cases, and that he should not be there. So I show it to your mate and he sees it at once. While we observe the object I talk to ground control over the radio and ask if there will be an aircraft in the area, but it would not be. How far from their plan the unknown object was do not know John Kylborn. The officer would guess two to three kilometers.. If he had held out a hand at arms length so the object would not have been covered if he held up one finger nail. Then I try to describe it to Mission Control. What I see is an aircraft with a lime-like, light green color, and I see an airfoil, it does mate well. And I mean that I see a tail on it. . I manage to follow it in fifteen-twenty seconds or so. . During that time, as I see it, it is in a constant controlled, and tight, right turn. I can see how the object makes almost a 360-degree turn before I lose it. When we had turned around to walk towards the airport so we could see straight into the sun and could no longer see the object. Yeah and the strange light/object is back, this picture is taken tuesday evening 29 of march 2011 outside my house, the picture is published on a Norwegian aviation forum, here is the link so you can see it!